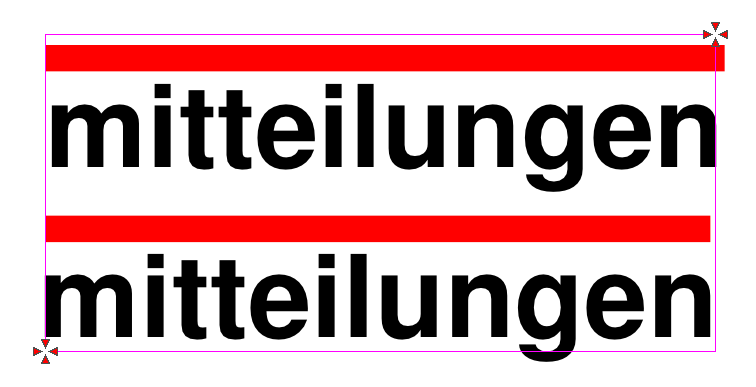 Further indulging my curiosity with xcoffins, I'm playing with xcoffins-tschichold-example.tex. In the TeX reconstruction of the front page of Elementare Typographie, the text is slightly misaligned with respect to the rule. This is obviously due to the gap (sorry, I don't know the technical term) between the right-hand edge of the glyph outline and the right-hand edge of its bounding box. 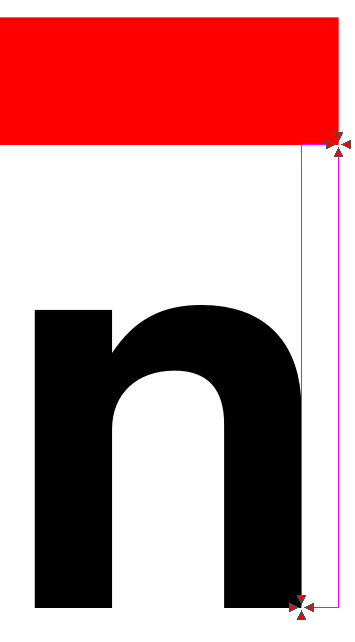 Now, in ``normal'' justified text, this gap is, I think, suppressed. How can I suppress it in this case, without losing the ability of fitting the coffin to the text automagically, and, preferably, not having to worry about wrapping individual letters (such as the n in this case) in TeX commands? Here's how I got what I wanted (XeTeX only), thanks to a tip from @egreg. First the image, then the code. Not the answer you're looking for? Browse other questions tagged horizontal-alignment xcoffins or ask your own question. “BigText” formating: how to adapt the fontsize to make all lines have the same width?